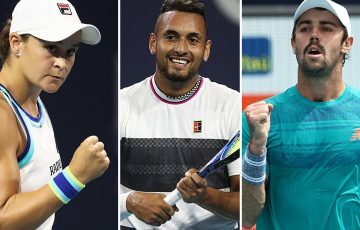 Australian juniors Nick Kyrgios and Thanasi Kokkinakis are now just one win away from an all-Australian boys’ singles final. Australian juniors Nick Kyrgios and Thanasi Kokkinakis are now just one win away from the first all-Australian boys’ singles final at Melbourne Park since 1994, when Ben Elwood defeated Andrew Ilie for the title. 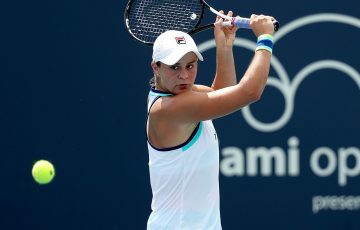 The good friends and doubles partners booked their semifinal berths in contrasting fashion on Thursday. Kyrgios, the No.3 seed and newly-crowned world No.1, was first on court and needed just 50 minutes to beat South African No.7 seed Wayne Montgomery 6-1 6-1. “I thought it was a really sound performance, so I’ll take a lot of confidence out of that,” 17 year-old Kyrgios said. Kyrgios is a two-time junior Grand Slam doubles champion, but this is his best singles performance to date, bettering a quarterfinal appearance at the 2012 US Open. Kokkinakis was next up, facing No.2 seed Italian Gianluigi Quinzi. 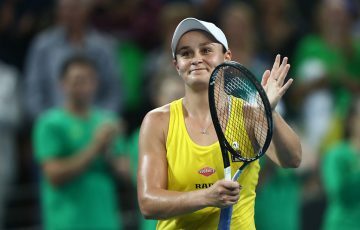 The wildcard Australian, who was also chasing his first Grand Slam semifinal, triumphed in a two hour, 26 minute marathon 7-6(5) 2-6 8-6. Kokkinakis served for the match twice in the deciding set, only to be broken both times. The 16 year-old served out the match on his third attempt. 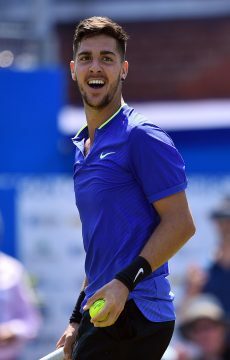 “I thought if I put enough pressure on, my serve would get me through,” Kokkinakis said. 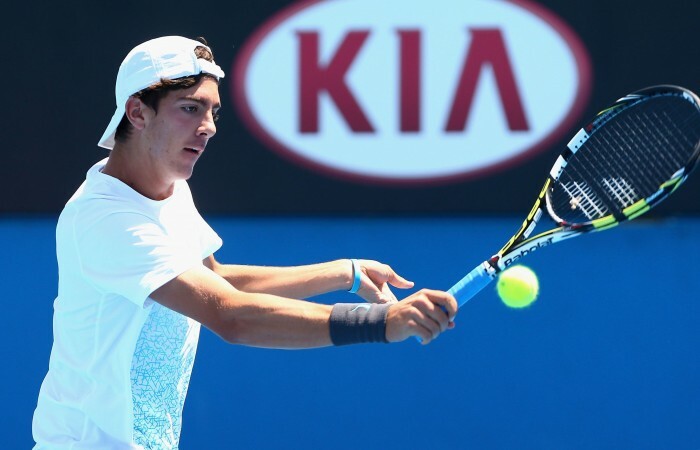 It was the first time Kokkinakis had beaten 16 year-old Quinzi in three attempts. 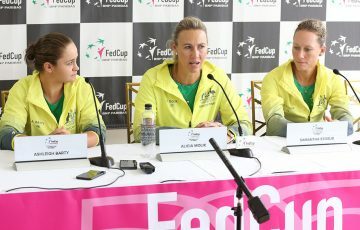 “It was a good feeling for me, especially to do it in Australia. 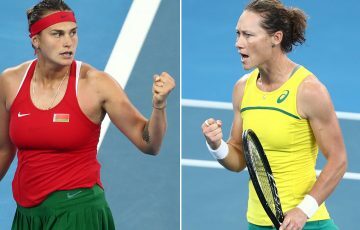 I really wanted that one,” Kokkinakis said. 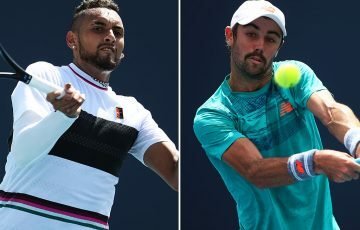 Kyrgios will now meet Italian No.8 seed Filippo Baldi, who upset No.1 seed Serbian Nikola Milojevic 2-6 6-3 6-3 while Kokkanakis will face Croatian Borna Coric, the 11th seed who defeated Slovak Republic’s Matej Maruscak 6-3 6-2 in his quarterfinal today. Meanwhile, Australian pair Jay Andrijic and Bradley Mousley won their way into the boys’ doubles final, beating Frenchman Enzo Couacaud and Italian Stefano Napolitano. Andrijic and Mousley won 4-6 6-4 [10-4] and will now meet German Maximilian Marterer and Austrian Lucas Miedler in the final.